I have to say that I’m a big fan of alternative search options when it comes to internet searching. Of course, there is simply no debating the usefulness of keywords and Boolean operators when searching the internet, but not every query is easily expressed in words. This is especially true of image searches. You might not have the foggiest idea which word or words will provide the results you’re looking for. You might have tried all the words you can think of and found no useful results. Sometimes what your looking for simply can’t be put into words. Cooper Hewitt, the Smithsonian Design Museum is notable for several reasons. One: it is the only museum in America exclusively dedicated to historic and contemporary design. Two: It’s located in the sprawling 64-room mansion built by industrial magnate Andrew Carnegie on Fifth Avenue in New York City. …and Three: While perhaps not as impressive as the last two facts, its website is also home to a very cool feature: browse by color. While you can search by color in an advanced Google image search, Google’s color search is a secondary search parameter, one that can be applied after you’ve entered a search keyword. By comparison, the Cooper Hewitt color search, Colors!, is a very slick tool that emphasizes browsing rather than search, making it better suited to more nebulous queries. Plus, while Google’s color search is limited to 15 color options, visitors to Cooper Hewitt’s site can search the collection by 118 different colors. You read that right: 118! So, how do they do it? Objects with images now have up to five representative colors attached to them. The colors have been selected by our robotic eye machines who scour each image in small chunks to create color averages. These have then been harvested and “snapped” to the grid of 118 (of a possible 139) different colors—derived from the CSS4 palette and naming conventions—below to make navigation a little easier. Sidewall, A Leopard of My Very Own, 1967–68. screen-printed on paper. Gift of Philip Graf. 1969-53-1. Drawing. Museum purchase from Smithsonian Collections Acquisition Funds. 1988-62-977. Sidewall, Plaid, 1958. hand-folded and dyed Japanese paper. Gift of Barbara White. 2000-64-6. Drawing, Designs for Citibank Citicorp Logo, ca. 1975. graphite, pink marker on white tracing paper. Gift of Ken Friedman. 1997-19-29. Scarf Sample (France), mid-19th century. silk. Gift of Barbara Rogoff. 1981-1-1. Sidewall, Anemone, 1959–65. hand-folded and dyed Japanese paper. Gift of Barbara White. 2000-64-13. Drawing, Florentina: Chartreuse, Magenta, Brown, 1924. brush and gouache on cream illustration board. Museum purchase from Smithsonian Collections Acquisition Funds. 1988-62-96. Textile (Netherlands), 2012. 100% cotton. Gift of Vlisco. 2015-1-17. There are, of course, some limitations to the function. First of all, only a small fraction of the collection has been digitized, so some colors have very limited results. Also, as noted in the quote above, images are sorted into five color categories, so works with numerous, varied colors will only appear in a maximum of five color headings. Still, while it may appear to be more novelty than necessity, Colors! is a potentially very useful tool for the kind of image search that would normally take one to Tumblr, Pinterest, or similar. It’s a visual playground for anyone seeking examples of graphic design, pattern, textiles, posters, prints, etc. from around the world and across time. Of course, this isn’t the only way to explore the collection. You can search by time period, country, location in the mansion, people, tags, and types. Oh, and you can search by keyword, too. When you upload to Instagram, do you always try to make sure your images are perfect? Is your crowning acheivement when you can prouldy post a photo with #nofilter? Before desparately taking multiple images, seeking out that perfect white balance, try Delt.ae! Delt.ae is a free, professional grade, image quality assessment service. To use Delt.ae, simply register for an account, and begin uploading photos. Upon registering, in your ‘scans’ tab, a sample image is provided that will help you to understand the types of image assessments that Delt.ae runs. Essentially, Delt.ae compares your digital image to how the subject looks in reality based on the use of test-targets. These image test targets can not only assess image quality, but also determine such factors as lighting uniformity, geometry, resolution, and sharpness. For a comprehensive list of the targets Delt.ae currently supports, click here. 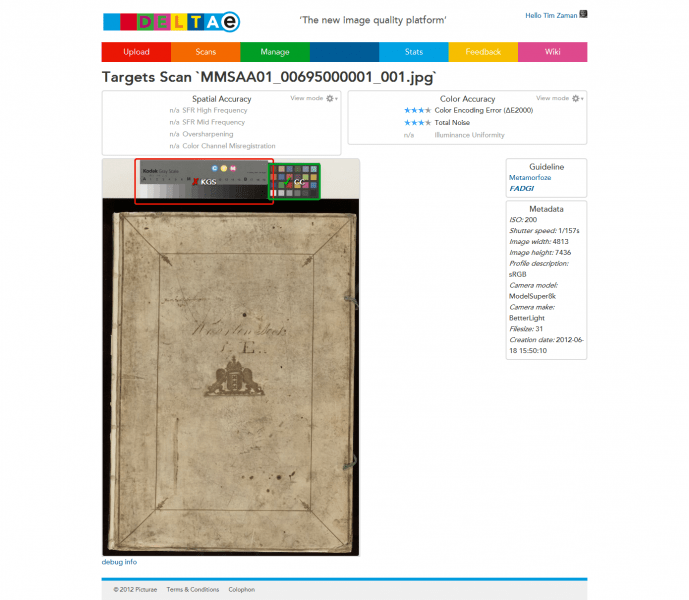 Two image targets above the scan of a book. Do note, however, that for Delt.ae to test your image, a target to scan does need to be physically present in the actual image (you can crop it out later). For a list of target specifications, checkout their guidelines on how to use and place targets within images, here. Many of you may already be familiar with the work of the Google Cultural Institute, such as the Google Art Project and numerous historical exhibitions. Yesterday, Google announced on it’s Europe blog that that technologies behind it’s Cultural Institute projects would be available to anyone wanting to organize and publish an exhibit. Valentina Palledino, a writer for The Verge, describes Google Open Gallery as the love child between Flickr and Behance. Offering a clean, streamlined look with zoom capabilities, users many simply upload images and video and add Street View imagery and text to create engaging exhibitions. Users must currently request an invitation to start creating exhibitions. Content is hosted on Google servers, and so users would be wise to create a backups exhibitions in the scenario that Open Gallery joins the list of retired Google services. Current exhibitions have been produced from institutions such as the Belgian Comic Strip Center, Fort Collins Museum of Discovery, and the Museum of Bad Art. In addition, for those lucky few traveling to Paris this winter break, Google has also opened the Lab at the Cultural Institute. This physical space is “where the worlds of culture and technology are brought together to discuss, debate and explore new ideas. It’s also where [Cultural Institute Employees] don our white coats and test out things like 3D scanners, million pixel cameras, interactive screens and more, working with museums to try them out inside their spaces to get their feedback. (Google Blog). Online exhibition publishing for the masses isn’t a terribly new idea, however. Omeka is still a leader in this field, offering robust options for those wanting to host content on their own servers and also for those wanting to simplify with a hosted version. 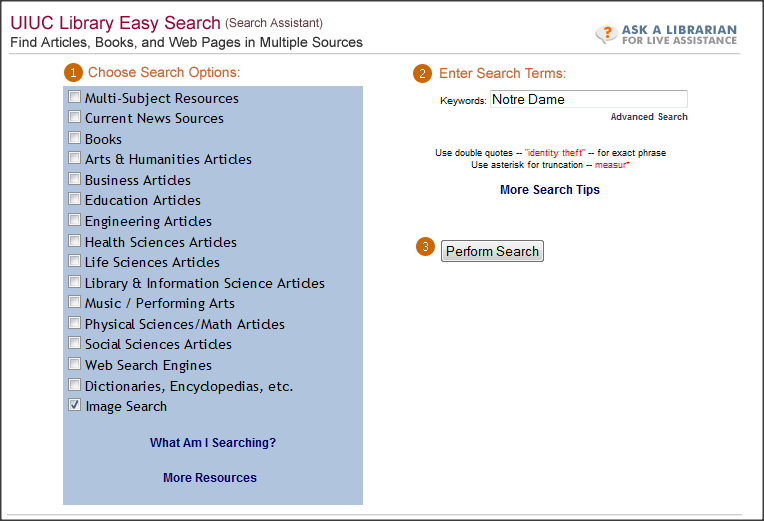 The University of Illinois Library maintains an institutional subscription to Omeka.net (the hosted version) for current students, faculty, and staff. Scalar is a new, open source web publishing platform available, and is still in development. However, users may access the beta version, which is still fairly robust. This tool also has growing support at the University of Illinois; a series of workshops about Scalar occurred this past semester, and there may be more to come in the future. I love images. I love links that let me know more about an image. I may love ThingLink, but it is too soon to tell. How would you use it? ThingLink lets you embed images with everything from text to a YouTube video to a link to your Etsy shop. Hovering over an image activates icons on the image, hovering over an icon gives you a preview of the annotation. ThingLink will ensure that you will not miss out on any opportunity to share your online presence. Let us know how you are using ThingLink! on personal archiving, and has graciously made some of her techniques available online. Unfortunately, we can’t throw everything in a shoebox and know that it will be there twenty (or even two!) years down the line. Today’s effective personal archiving is not quite as easy as putting everything on an external hard drive either, but the extra effort is worthwhile. She covers storage, organization and guidelines for thinking about file formats, in addition to a myriad of other concerns. Be a good steward of your own data with the iLibrarian! Note: If you are on campus and interested in personal archives you may be interested in the Personal Digital Archiving conference on Thursday, April 12. Jeff Ubois, founder and frequent chair of the Personal Digital Archiving conference held at the Internet Archive will begin at 4 pm in Room 126 LIS (501 E. Daniel, Champaign). Still in beta mode, with room to grow, it is surprising the WikiPainting did not exist before. The good news is: it exists now and is growing quickly. Faceted searching by artist and artworks among other things let you wander the halls of this virtual museum on your own initiative. Explore the evolution of a personal style or the favored subject of an artist throughout time. This non-profit, online repository for fine art has the ambitious goal of covering all of art history. And we aren’t talking just the canon here, everything from natural pigments on a stonewall in a cave to something a bit beyond MS Paint. Contribute content to WikiPainting if you can. Help it become a community tool for enriching our collective knowledge of art history. Harvard’s Houghton Library and the Harvard Art Museum’s Lyonel Feininger Archive have collaborated to create an online research microsite presenting a comprehensive collection of Feininger’s largely un-seen photographic works. Harvard holds the majority of Feininger’s photographs, with some 500 photographic prints at the Houghton Library and approximately 18,000 negatives and slides in the Feininger Archive. All of this material has now been digitized and made available through a searchable database, located at the Lyonel Feininger Research Microsite – one of four such microsites created and maintained by Harvard. The Busch Reisinger Museum at Harvard recently held two exhibitions featuring the work of Lyonel Feininger. 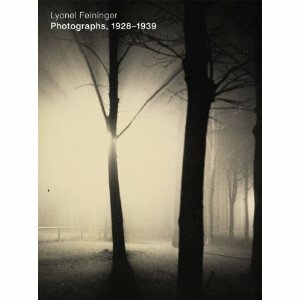 The catalog for the photographic exhibition, Lyonel Feininger : photographs, 1928-1939 (Harvard Art Museums, 2011) is now available at the Ricker Library of Architecture and Art. The exhibitions, “Lyonel Feininger: Drawings and Watercolors from the William S. Lieberman Bequest to the Busch-Reisinger Museum” and “Lyonel Feininger: Photographs, 1928–1939” ran from February 26 to July 17 before traveling abroad. They represented Harvard’s extensive holdings of Feininger’s work, in particular his photographs – which had never before been exhibited. Lyonel Feininger (1871-1956) is well-known as a painter and an important contributor to the Bauhaus and German modern art. His long-term engagement with photography has never previously been explored. In the exhibition catalog for his photographic work, it is speculated that Feininger did not pursue photography more publicly because of his sons’ enthusiasm for the medium. Both of Feininger’s sons, Andreas and T. Lux made careers as photographers and writers on photography. Harvard’s Feininger Microsite is the first widely accessible presentation of Feininger’s photography and it represents an enormous asset to Feininger researchers and enthusiasts. The content of the site was compiled and by Nathan J. Timpano (2009–2010 Stefan Engelhorn Curatorial Fellow, Busch-Reisinger Museum) and the commentary and biographical information is drawn from the exhibition catalog organized byLaura Muir (assistant curator, Busch-Reisinger Museum). 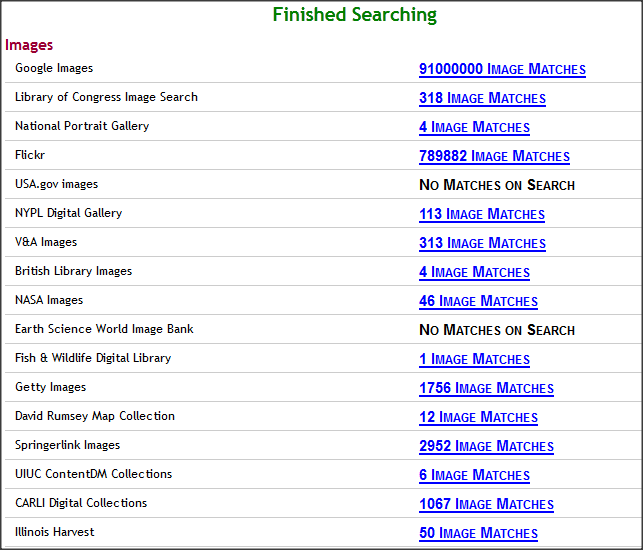 The site allows users to search the collection by text, title, object number, date range, medium, subject and/or creation place. Additionally, given the low-profile nature of this collection and the presumed unfamiliarity of the user, the site offers an extremely useful feature wherein they can browse characteristic slideshows of prominent subjects within the collection. These include, ‘art documentation’, ‘Bauhaus’, ‘Trips to California’, ‘New England’ and ‘shop windows’ among others. Each of these subject slide shows bears an informational excerpt about the work presented. The site is smartly designed, easy to use, and the photographs are breathtaking. With the Feininger exhibitions, catalog, and research microsite, Harvard has presented an interesting model where artistic collections, archival resources, and resident experts have been brought together to steward, curate, publish and develop new tools that act as both promotional tools for the museum and research tools for the University. For visual learners, sometimes a timeline can be just the thing to help put history into some sort of context. Dipity, a free digital timeline website who’s mission is to “organize the web’s content by date and time,” allows users to create, share, embed, and collaborate on timelines. These aren’t just any timelines either; they integrate video, audio, images, text, links, social media, location, and timestamps to create something engaging and interactive. Dipity stands out amongst other timelines, such as Metropolitan Museum of Art’s Heilbrunn Art History Timeline, as it can be customized to represent individual art historical movements, individual artists, or even individual works of art. It is especially useful for those studying social history, as political movements and new stories are often featured. Dipity also features many of the social networking features that many users expect to see, such as the ability to follow, or subscribe to already created timelines, and sharing via twitter, facebook, myspace, digg, and stumbleupon. Due to its rich media integration and collaborative nature, Dipity is a great tool for students and faculty alike. I never thought I would fall for a web browser, but Google has captured my heart with Chrome. I was at first intrigued by its claims of being the fastest web browser in terms of site loading time, but having used it for a while now I’ve discovered even more time saving features. Many of you are already familiar with apps for your smart phones, but what about your web browser? Go to the Google Chrome web store, and you’ll find many free apps related to image retrieval, image editing, and even 3D modeling. Let’s start with image retrieval. In Google Chrome, you can search the web for an image on your hard drive (for example, if you’re not sure what the image is of, or you need a higher resolution image) by simply dragging and dropping that image into the search box at images.google.com. If you don’t want to be bothered to have to go to the Google Images page, download the Chrome extension and simply right click (or ctrl click) on an image to search. The extension only works for images found on the web, however. An alternative extension has been developed by Tineye, which some of you may already be familiar with. While the Google extension will recall web pages that include the image your searched for, as well as pages about the artist, Tineye recalls strictly the image. Let’s say you found the image you’re looking for, but the color is a bit off. There are a few web-based image editing apps in Chrome, but I like to use the Aviary Image Editor. Aviary Phoenix is a fairly robust piece of free image editing software, and the app is no exception. There are over 30 editing tools, including rotate, brightness/contrast, and sharpen. The app allows you to edit images within the browser, and then either download or share on a social networking site. If you teach with images found online often, this app can help you improve the quality of your images. To resize and reformat images, you can use the handy Extreme Image Converter. This app allows users to upload an image, convert it to any of 13 different file formats, and specify the size (keeping in mind that it is easier to reduce size than increase size). If you prefer 3D models to digital images, install 3DTin and start creating your own. It’s a little bit like Google SketchUp, but less robust and more user friendly. When you’re done, you can save your model in the cloud, or export in standard 3D file formats (OBJ, STL). There are many more apps and extensions available than the ones listed here, and they are either searchable or browsable by category. Enjoy! If you’re teaching with PowerPoint and spending a lot of time inserting images into your slideshow, this may be the answer for you. While PC users are able to insert groups of images into their PowerPoints through the Photo Album feature, Mac users have had no such equivalent. However, Jeanette Mills, Director of Visual Services at the University of Washington, has developed an application using the Automator tool that will allow Mac users to batch import images into Powerpoint. To access this application, click here and follow the instructions in her blog. The application will insert one images per slide, so if you plan on having multiple images on one slide, this may not be for you. I’ve tested this out, and it works beautifully. The only requirements are that you are using Mac OSX 10.6 and Powerpoint 2008. John Bradley, Senior Analyst for Humanities Computing at King’s College, London, visited the University of Illinois’ Graduate School of Library and Information Science on July 20 and 21 to discuss, share, and demonstrate Pliny—a free, publicly available, open source software for note-taking and annotation of both digital and non-digital materials. Below is a screenshot illustrating how Pliny can be used to annotate a digital image. You can find instructions for downloading and installing Pliny here. The copyright status of the underlying work represented in the image. The copyright status of the photographic reproduction. The specific source from which you have obtained the image under consideration. The intended use(s) of the image.